We do more than parties! 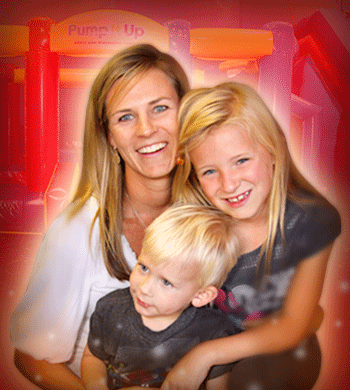 Bring the family out to jump and let us take care of dinner while you enjoy playing with the kids. Cost $10 per child and includes 60 minutes of jump and 2 slices of pizza/drink. Parents play free. Parents can add 2 slices of pizza/drink for only $2.99 per parent. Followed by up to 30 minutes to eat in one of our party rooms. Don't forget to bring your socks. Waivers are also required. This is not a drop-off event. There is no arena re-entry after the 60 minute jump time is over. We're sorry but no, Groupons, POGO Passes, or any other passes will be accepted for this event. Check Event Calendar for dates/times. Cost is $10 per child and includes 2 slices of pizza and drink. Reserve online. Limited space is available.